Party chicks have always enjoyed the feel of bee stung and happy looking plumper lips because they know it makes them hotter. This season they are heavily investing in a custom peppermint lip shimmer w/white tube cap. This lip shimmer triggers tantalizing and happy feeling over lips and manipulates lip texture. It acts as a perfect temporary substitute for invasive cosmetic treatments done to produce bee- stung lips. Health Quotient – PABA free. No harsh synthetic quantity or quality boosters involved. , harsh preservatives, flavorings/taste enhancers, addictives and additives avoided. Hypoallergenic. FDA approved. Cruelty-free. Directions – Rub peppermint lip shimmer generously over lips as a part of precaution from dry cracks, and wind burns. Apply it regularly to enrich texture of lips. 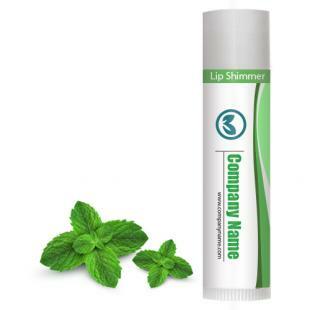 Gifting Favors – Custom peppermint lip shimmer w/white tube cap can be gifted during kitty parties, bridal shower parties, baby shower parties, girl’s night out, hen parties, etc. Or it can be gifted during those girly events, where chicks are planning to topple each other with picture perfect smiles.